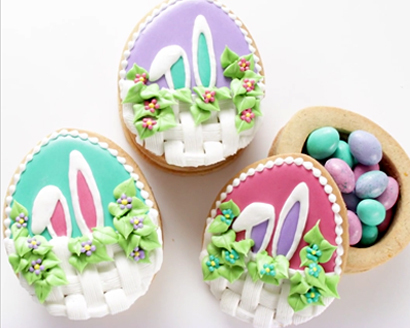 There's a surprise inside these elegant Surprise Easter Basket Cookies. 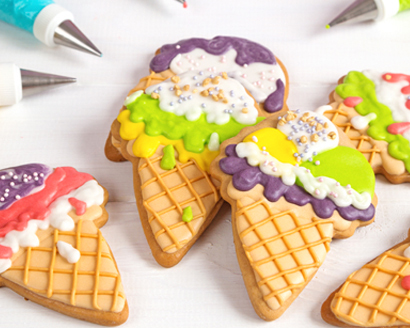 Watch and learn how pro decorator, Amber Spiegel of SweetAmbs® bakes, stacks and frosts her way to a fun and festive Easter treat! 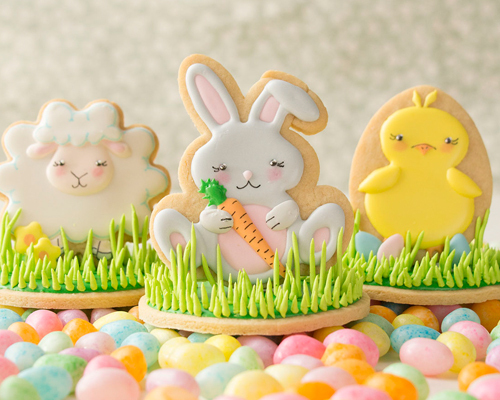 Create your own Surprise Easter Basket Cookies! 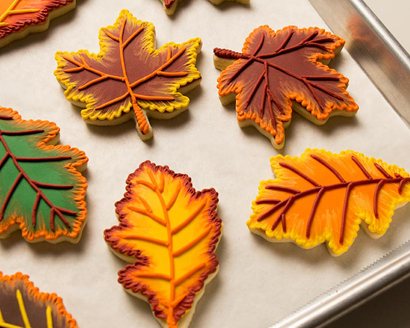 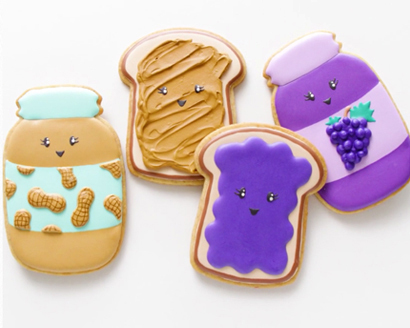 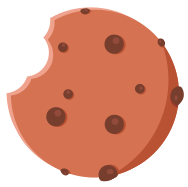 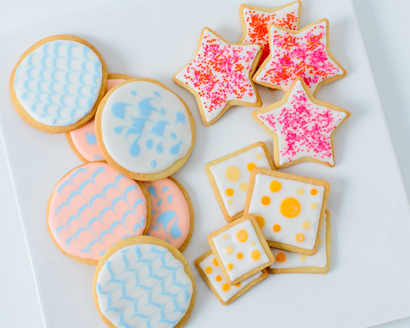 You will need 1 cookie as a base, 3 cookies with centers removed, and 1 cookie “lid” decorated with royal icing to place on top. 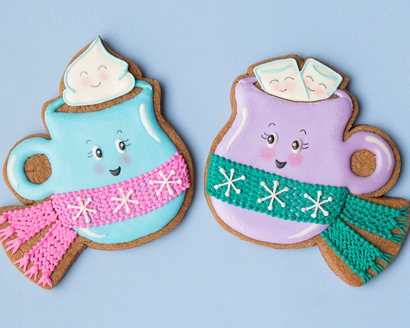 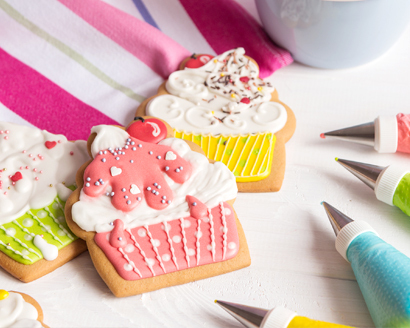 Stack the cookies using a ring of plain royal icing as a binder and fill with a candy treat of your choice. 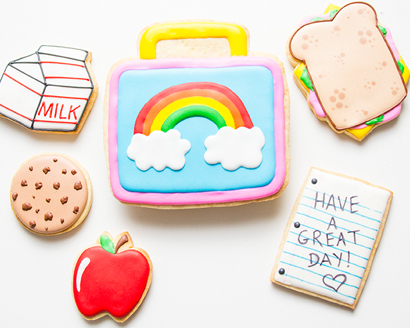 Gently place the decorated “lid” on top to complete your Easter basket and enjoy!